Installed new sway bar end links on my f150 today. It's had a bad rubbing/popping sound coming from somewhere in the suspension when I turn at low speed for some time. After taking the front tires off I noticed that the top bushings were completely gone so figured that had to be what was causing that noise. It wasn't. Got them installed and went for a little test drive.....still doing it. My ‘04 Expedition has been doing that for years. I took it to my guy once to see if he could fix it, since it sounds terrible. He sold me a bunch of work on other crap - but it still makes that sound. If you figure it out, let me know. It still runs like a champ - but that sound does give me the willies. Do you remember what all you had done to it? Did you replace the tie rods? I don't remember. It's been a couple years. But that sounds like it could have been it. At least 50% of the rear bulkhead collapsed. It was glorious. Bright side. Now you have that whole Atlantis thing goin' on. I'm not doing anything with this slab (I can't imagine what it will sell for) but damn! what a nice piece of wood. This is at a mill down by Denver. 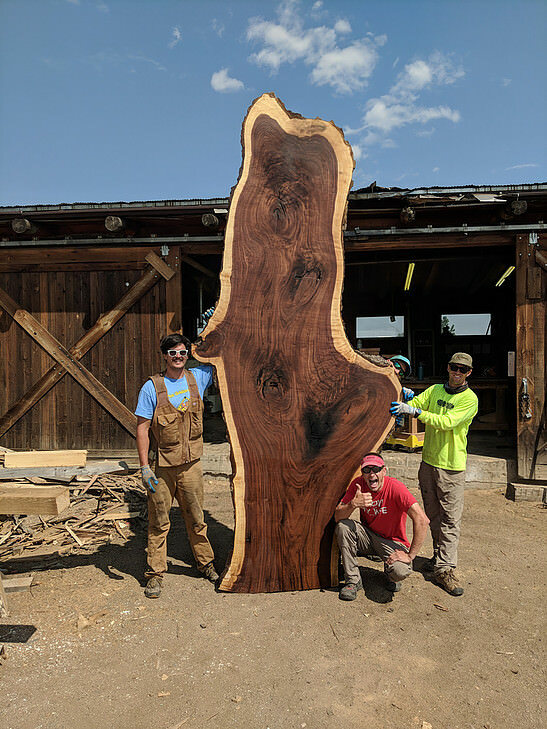 I can't figure out how this tree was growing that this slab has a live edge on 3 sides. I have been attempting to refurbish an old tool chest. The only problems are when the weather is warm enough to work on it, I don't have time. When I do have time, it's too cold. Parts are all over the garage and will probably stay there until warmer weather. Mrs. Kerdy is not happy. The Girl and I are planning out the Christmas ornaments we will make this weekend, Lord willing. I had to order new scroll saw blades. 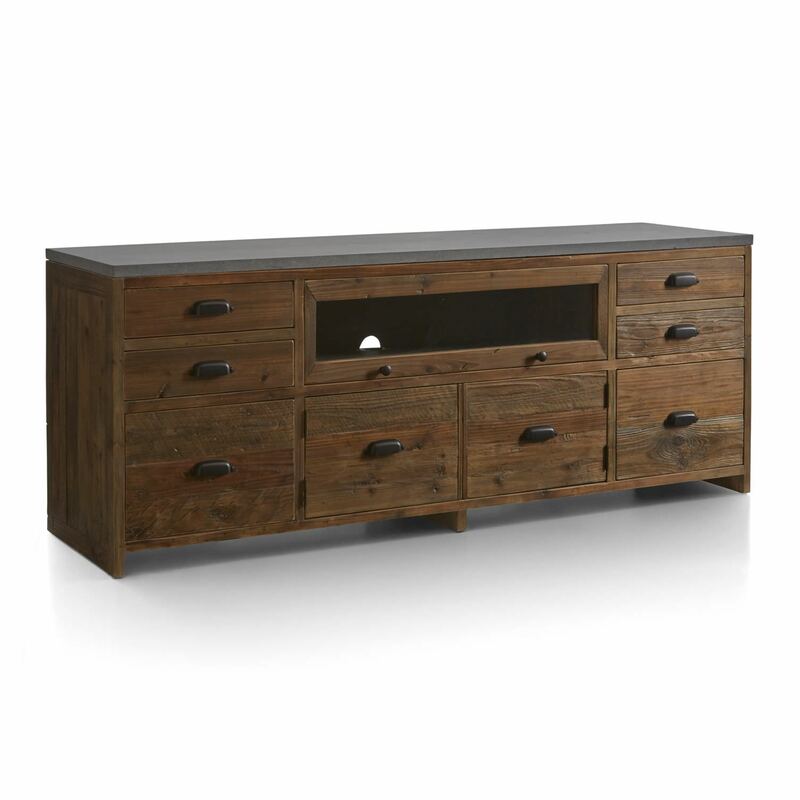 Kicking around some ideas to build a knock of of this console from Crate&Barrel. Whoa! Pics of you do it. The pile of pipe cleaners on the floor in the corner of the garage is so high I can't see the floor anymore. He also learned the striking difference between rough cut, dirty oak planks and clean, smooth oak boards. He couldn’t get over how great it looked. Was fun to watch him. Tomorrow is our annual Christmas BaconFest at the office. 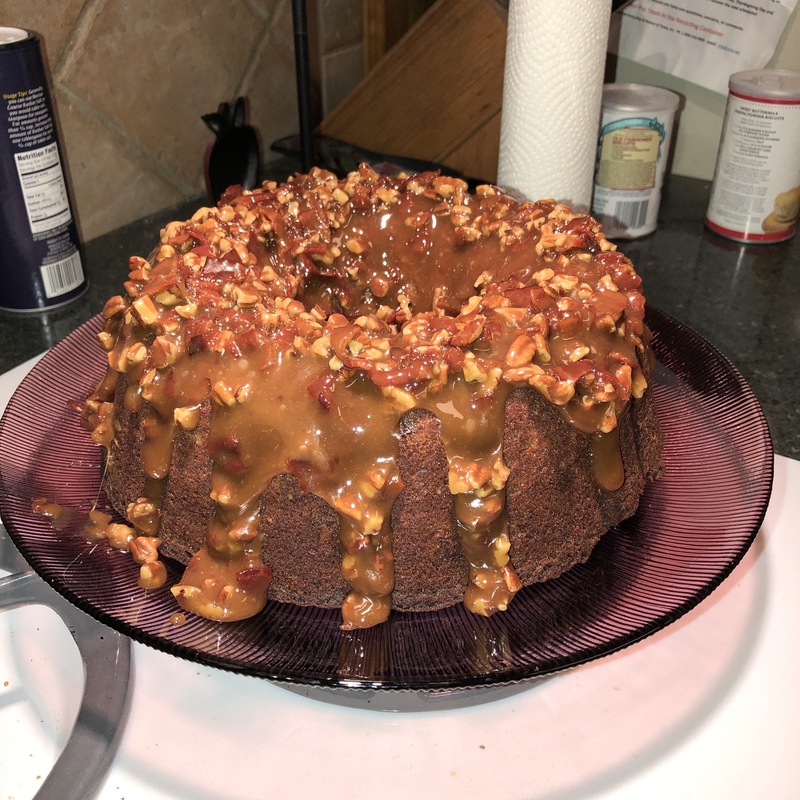 Here is my offering: A bacon pecan pound cake glazed with bacon pecan caramel goolaze. You guys hiring a PM in 2019?